Discover classical India like never before with our 11 days and 10 nights package. The package will give you a wonderful insight into the religious and cultural heritage of incredible India that cannot be seen elsewhere. During your tour, you will experience something different and unforgettable in each city. Delhi will offer a combination of everything like magnificent forts, mosques, food and shopping. Agra will take you back to the golden period of the Mughals. 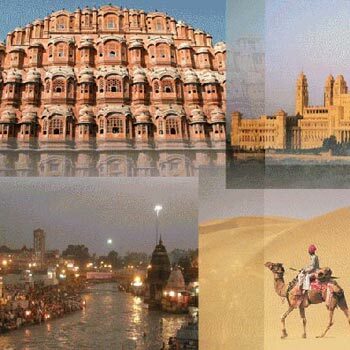 Jaipur will offer you a glimpse into the grandeur of Rajputana’s and Varanasi will lift up your religious spirits. In the morning, take a sightseeing tour of Delhi. Visit Raj Ghat (the cremation site of Mahatma Gandhi) and Shanti Vana (the cremation site of Jawaharlal Nehru), Jama Masjid and drive past the Red Fort and the Chandni Chowk.In the afternoon visit Qutub Minar (built by Qutub-ud-Din Aibek in 1199), Humayun's Tomb, India Gate (War Memorial Arch) and Lakshminarayan Temple (a modern Hindu Temple). Also drive past President's House, Parliament House, Government Secretariat Buildings and Connaught Place shopping centre. Stay overnight at the hotel.